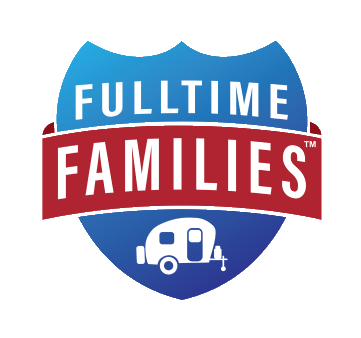 As we’ve downsized and simplified, chosen to live in an RV, a few people have been bold enough to ask us a question that’s been dancing around their skulls: How can you afford this? How can you afford to retire at 45 and travel the US? How can you afford to not work for someone else and give up benefits? How can you enjoy life without a steady income? The answer to all three of those questions is, we can’t. First and foremost, this lifestyle requires a mindshift. We’re not retiring at 45. We’re actually working harder than ever. Yes, we’re seeing exotic sites and traveling. But when we’re not doing those things (which is about 90% of the time), we’re working. Hard. Yes, we get to experience the Grand Tetons on a Wednesday, but we’re often working every Saturday. Both Gena and I are full-time freelance writers and authors. This means most of our days are spent writing for clients, finding new clients, working to get our blog off the ground, writing books, etc. In other words, we’re doing the same thing we did in a cubicle for our employers, but we’re doing it away from the office. Of course, that doesn’t mean we’ve just changed work location. When you don’t work for an employer on-site, quite often that means you don’t enjoy the benefits of working as a full-time employee. Your equipment is now your responsibility. Your healthcare is now your responsibility. Your dental care is now your responsibility. Your retirement is now your responsibility. And, most importantly, counting on steady income is…now your responsibility. None of this is easy. Over the years we’ve put in the time to (hopefully!) cultivate strong relationships with people and organizations to hopefully give us enough leads to do what we’re doing. This kind of lifestyle can cause others to think you’re doing nothing but enjoying the sites. But, as stated above, nothing could be further from the truth. The good news is, some former employers may be willing to work with you. You can do the same work and they no longer need to furnish you space and equipment. That will save them thousands of dollars. You can do the same work and because you’re freelance, they no longer need to furnish you benefits like healthcare and dental care. That will save them thousands of dollars. You can do the same work, but only get paid for what you actually output and bill for. There are no wasted hours waiting for work. That will save them thousands of dollars. That doesn’t mean everyone “gets it.” A corporate, “legacy” mentality wants people on-site, even if it’s not as efficient or cost-effective—and even if it means a good portion of that employee’s time cannot be accounted for. It boils down to the fact that some employers would rather have a “soft cost” of an employee on the books than the “line-item cost” of a freelancer. It’s very uncomfortable to actually know where your money is going. But others do “get it.” Forward-thinking employers see that hiring you as a freelancer is a win-win situation. They save big money, you are a happier employee, doing what you want—and you’ll be one of their few, fully accountable employees. This is where jobs are going. Articles come out daily describing the shrinking middle-class workforce as people are replaced by automation. Cubicles are emptying everywhere. And of course, you can always sell your body for fun and profit. The point is, you can do this, but it’s a different mentality. It’s not retiring at 25 or 45. It’s becoming an entrepreneur. It’s setting your own hours, working for people you want to work for vs those you have to work for. It’s being disciplined and frugal. It’s living like no one else so you can live like no one else. I’m not about to tell you there aren’t months where income is lower than you want (or need!) but there are months where it’s better, too. It can be risky, but anymore, so are corporate jobs. The difference is, this risk has a HUGE payoff. You get to live where you want, see things others never see, and do things you would never otherwise get to do. Like see the Grand Tetons on a Wednesday.